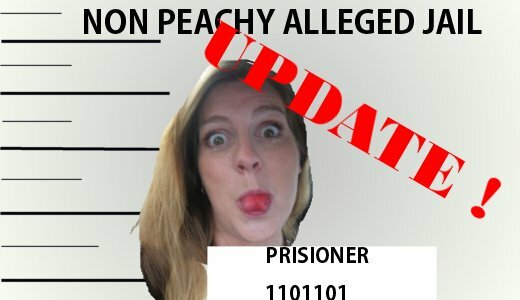 I have an update on my criminal status ! Remember the post from March 30, 2011, where I said, ” I’m probably not even a Criminal Maybe? ” NO? well here’s the link. Anyway it had to do with me teaching my kid to be a good Samaritan and helping out others and blah blah, and then probably being an accessory/accomplice to grand theft auto. ( not the game but the actual felony). This may sound like some really awesome crazy strange freaking whacky thing to you, but to me it was like a 10 minute snippet of my average life. Yesturday I had just left a place where they had a shirt hanging on the door that said, “got holes” and was on the way to a place where I had to say, ” left my screws here” when I noticed 1 very important 3 wheeled red vehicle with a sign that said, ” Make an Offer”. If none of this makes sense well that probably means a) you didn’t read the post on March 30th, b) you have never been here before and didn’t read the post on March 30th, c) you are completely sober, d) you are sane. The POINT IS- I AM NOT AN ANIMAL! wait. CRIMINAL…. I am a mammal, which means John Merrick was completely wrong this entire time and since I based my entire life on the movie, ” The Elephant Man” my life is basically….. a lie. Oh Captain my Captain… sniff…. I can just see you being chased by the cops like Bandit was in Smoky and the Bandit. i still say we take to the road as secret fun-loving criminals. I must admit I didn’t read the March 30th post. So ashamed. Well, I rectified that. Then I needed some tequila. Then I came back.